Well maintained and presented to a high standard throughout is this lovely three-bedroom semi-detached home, set at the heart of the desirable village of Bishops Itchington. On entering the property, there is a convenient porch way that leads into the lounge which is light and airy thanks to the large window to the front of the home. Flowing through the home you are lead into the dining room which also gives access to the conservatory which overlooks the rear garden. The kitchen is fully fitted with a range of wall and base units and plenty of space for white goods. There is also a conveniently situated pantry just off of the kitchen. Upstairs briefly comprises of three bedrooms and a family bathroom. The master bedroom is a sizeable double room that is situated at the front of the home and has been finished to a high standard. 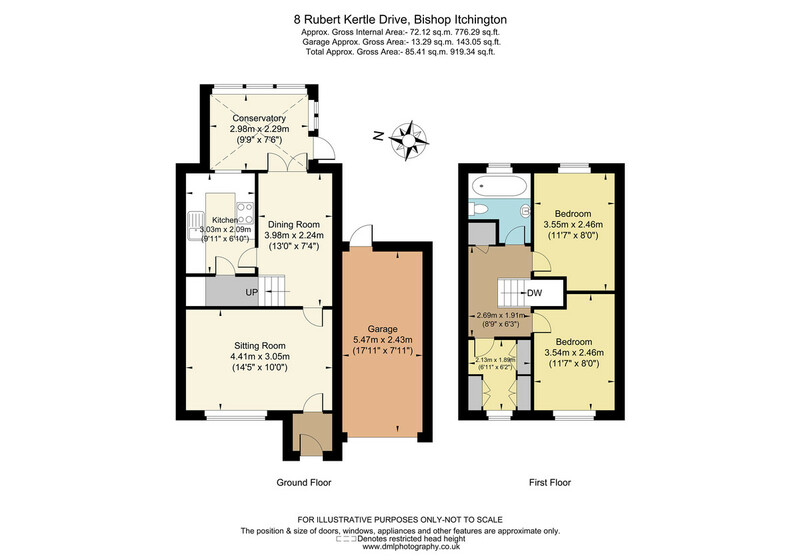 Bedroom two is a good-sized double room with views over the rear garden and bedroom three is a single room that is currently fitted with wardrobes and utilised as a dressing room. The family bathroom is fully fitted with a modern, white suite inclusive of a shower over the bath. Just outside the bathroom on the light and airy landing space is a useful fitted storage cupboard. Leading outside is a private and low maintenance rear garden, laid mainly to gravel and patio with plenty of space for an alfresco dining table. This lovely home also benefits from off-road parking for up to three cars, a single garage, gas central heating and double glazing throughout. With a wealth of amenities on its doorstep and great road links nearby this home has lots to offer its next owners.